On a hot balmy afternoon with my camera in hand, I found myself on Tembeling Rd. along Joo Chiat to look at all the multicoloured shophouses and literally as I was clicking away, this idea dawned upon me that I could start a photography project...and the rest is history! I have always been fascinated by architecture and it tends to influence my work in a massive way. I am particularly fascinated to see the ever changing skyline in Singapore and how the old exists beautifully with the new. As I finished with Joo Chiat and the colourful array of shophouses, my next stop was Arab St. This is a bustling neighborhood, teeming with tourists, but once you make your way beyond the mosque, there are fewer tourists and the scene is more local. I love walking along the little lanes and discovering all the different shapes, sizes and colours of windows! And guess what they mostly have shutters! Which got me thinking — where did shutters originate and how did they make their way to Singapore! After a little bit of searching, I discovered that shutters originated in Tudor England and back then they were made of solid wooden boards and only much later they were used both aesthetically and for practical reasons. I used to think that window shutters must have originated in some hot tropical country — they are perfect to keep the glaring sunlight and the torrential rains out, yet cleverly designed with horizontal slats to allow some daylight through whilst providing adequate ventilation. 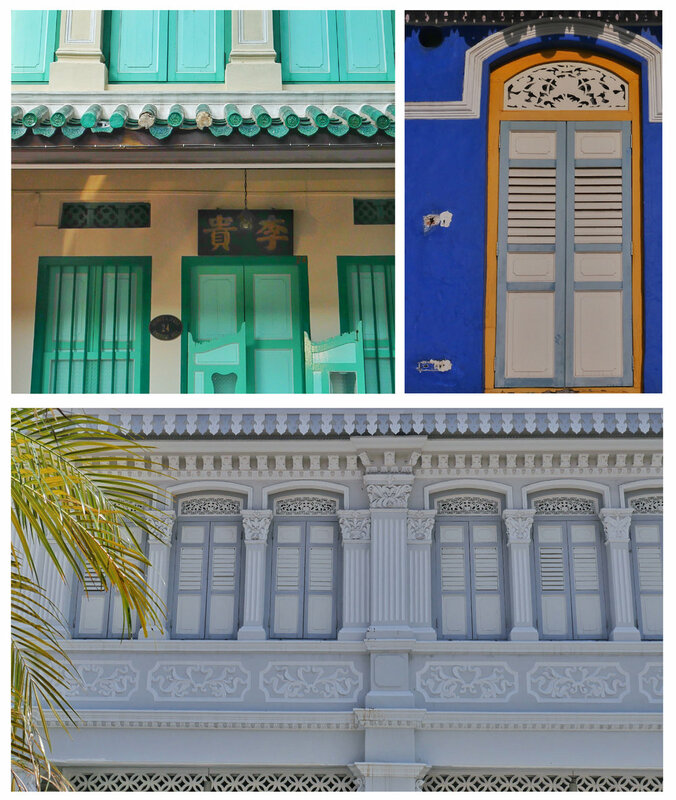 Enough about shutters...so far I've visited, Emerald Hill, parts of Little India, Arab St. and of course Joo Chiat. Let me know where I should go next to add to my collection for #singaporewindowproject. And come join the fun @kalapatagifts on IG to see all the photographs!